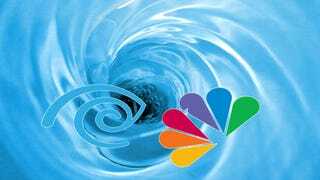 Last week, Bloomberg reported that the Justice Department might snuff out the impeding Comcast-TWC merger for violation of antitrust laws. Now, the WSJ has joined the mourning party, with a report saying the FCC will designate the merger for a hearing. That wouldn’t kill it dead, but it would certainly sharpen up the axe. According to the WSJ report, FCC staff have recommended the agency issue a “hearing designation order”. That would put the future of the merger in the hands of an administrative judge, and would put the FCC’s seal of disapproval on the nuptials. If things do move to a hearing, that wouldn’t be the end of the line — Comcast would still have an opportunity to make its case. But as the WSJ points out, there’s little Comcast can change about the details of the deal at this stage, since both Comcast and TWC already have arrangements in place to sell or spin off systems to Charter, if the deal goes through.